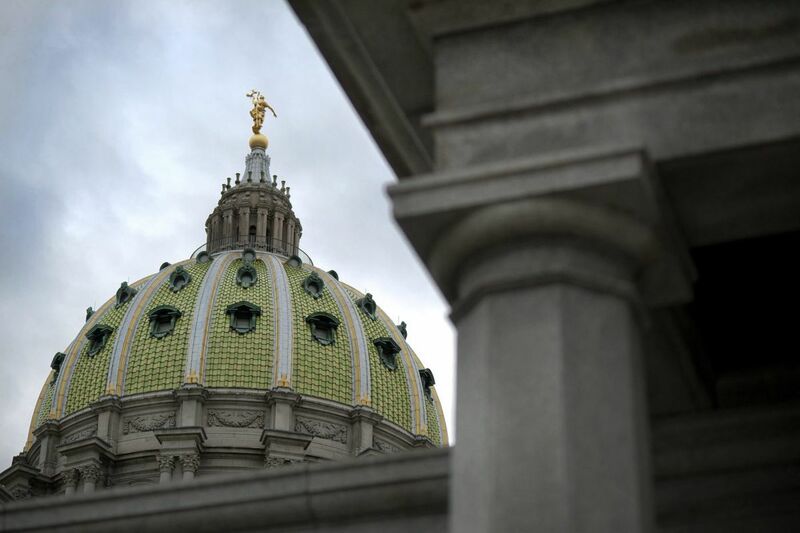 Pennsylvania's independent Civil Service Commission members have unanimously protested a bill introduced by State Sens. Mike Folmer (R., Lebanon) and Randy Vulakovich (R., Allegheny) and endorsed by a crowd of senators from both parties, as an effort to dismantle the state's "merit and fitness" hiring system, set up in the 1920s to eliminate "patronage, cronyism, and nepotism" — the old practice of hiring state workers based on an applicant's political bosses, friends, and family. Folmer's bill, S.B. 1037, would strip the commission of its hiring and selection powers for 50,000 state workers, and transfer those powers to the Governor's Office of Administration, ending a system that has worked "without a hint of corruption," commissioners Bryan R. Lentz, Odelfa Smith Preston, and Gregory M. Lane told Folmer and other legislative leaders and state veterans organizations in a letter distributed Tuesday. The Office of Administration is controlled by the governor. It is currently headed by Sharon Minnich, a former executive at Deloitte Consulting, one of the state's largest information technology outsourcing contractors. Folmer, Minnich, and other supporters of the bill say it's needed to speed the state's adoption of online job applications. The bill would also "eliminate the commission's authority to initiate independent investigations into the hiring process," limiting them to audit hires only "after the fact," and without being able to demand a lot of information on why a worker was picked and another rejected, the commissioners added. The commissioners also complained that the bill would end "independent enforcement" of state law mandating agencies give U.S. military veterans hiring preference — a guarantee that the commissioners say they have had to repeatedly enforce on reluctant state agencies. They also complained the bill's supporters' stated reasons for pushing the legislation — to "modernize" hiring because the commission was moving too slowly — "is simply not true." They cited plans by most state agencies to implement an online job application system from California-based NeoGov. Folmer has said he and Vulakovich introduced the bill, with Minnich's support, after he grew frustrated with the slow pace of application updates. Folmer's office has promised a public hearing to review the bill and consider possible changes. Lentz, the commission chairman, is a Philadelphia lawyer appointed by Gov. Wolf; Lane, a Harrisburg accountant appointed by Republican Gov. Tom Corbett; Smith Preston is a Pittsburgh banker first appointed by Gov. Ed Rendell and reappointed by Corbett and Wolf.